Spoiler Alert: It’s not as bad as we think! Almost all bilinguals do it, but no one likes it -- not teachers, not parents, not even the speakers themselves. They think it reflects a poor command of one or both of the languages. They believe it weakens the language, and could even lead to a whole new hybrid language, such as “Franglais” or “Spanglish”. These opinions are strong and widespread, especially when they concern the influence of English on Canadian French. But is there really cause for concern? Shana Poplack is a linguistics myth buster. This world-renowned sociolinguist, Professor at the University of Ottawa and is the recipient of a Canada Research Chair, has spent more than 35 years scientifically testing such widespread beliefs. The results are in! Her long-term research programme has now been synthesized in her brand new book: Borrowing: Loanwords in the Speech Community and in the Grammar. In her sociolinguistics lab, she extracts the answers from the language spoken by ordinary people in their everyday interactions. She and her team have analyzed bilingual discourse in over a dozen language pairs. They focused on Canada’s official languages, both in combination with each other and when combined with other languages (such as English with Ukrainian or Tamil, or French with Vietnamese or Arabic). 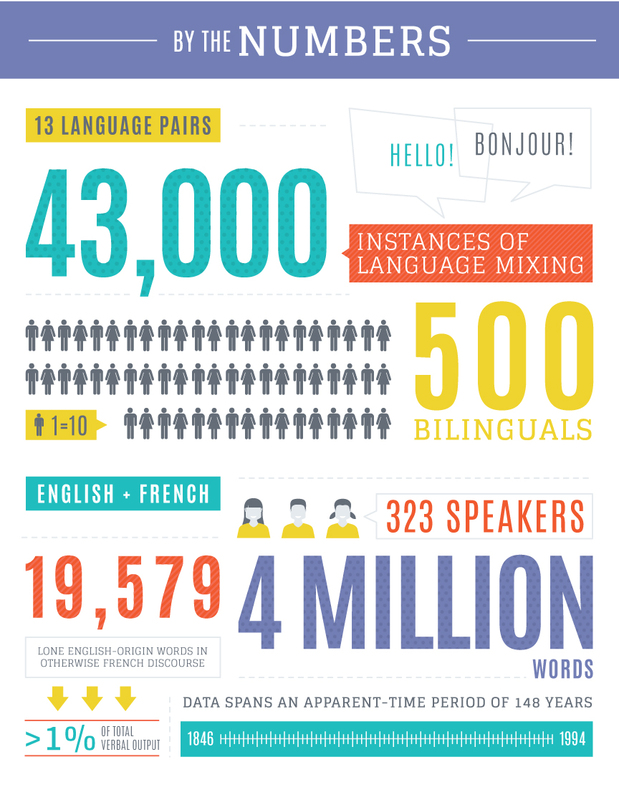 Professor Poplack’s research has effectively debunked some of the most common myths about language mixing! Among the most widespread Canadian French is laced with “anglicisms”, and that once these anglicisms are introduced, they’re here to stay. But both are false. Incorporating foreign words does not weaken or destroy the integrity of the borrowing language. Language mixing is not unstructured and unsystematic. Language mixing is not evidence of a weak command of either of the languages. Contact with English has not radically altered Canadian French. People don’t mix languages for the reasons we think: out of laziness or because they can’t think of the native word. Although most of these findings fly in the face of received wisdom, they are supported by Poplack’s systematic quantitative analysis of over 43,000 mixed sentences contained in hundreds of hours of recorded conversations produced by nearly 500 bilingual speakers.